STARGAZERS will be treated to the only supermoon, AKA perigee syzygy, in 2017 tonight. The Moon will be especially large and bright, because it is at its closest distance to Earth. 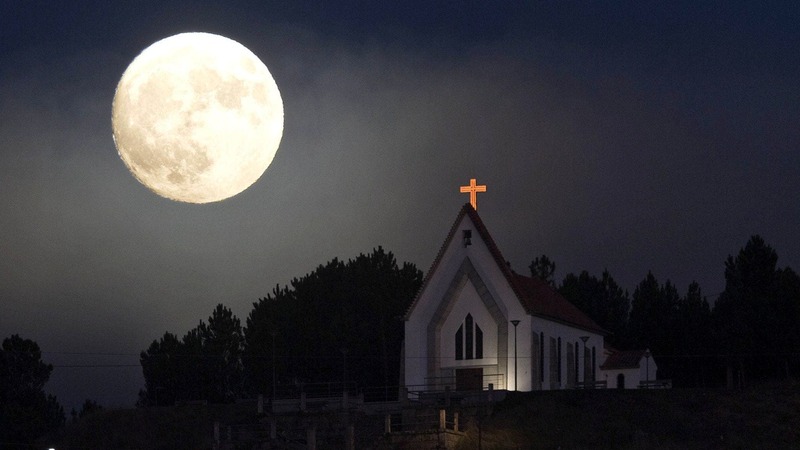 The perigee moon (prerequisite for a supermoon) happens because as the moon orbits the Earth it does so in an oval or elliptical shape, meaning sometimes the moon is closer to the Earth and at other times it is farther. For a supermoon to exist, there must both be a full moon as well as a perigee moon, hence why the moon tonight will look especially close, full, and bright. The most recent supermoon was around a year ago on November 14, 2016. The moon tonight will be 7% larger and 15% brighter than normal, which may be hard to discern without a direct comparison of a normal moon beside it. The moon will be brightest around midnight when it is highest above the horizon. Often, if the moon is on the horizon our brains are tricked into viewing the moon larger and brighter than it really is. This is called a ‘moon illusion’ and happens because your brain compares the moon’s size with adjacent objects such as buildings or trees and interprets the moon to be much larger than it actually is. Tonight’s supermoon will be 222,761 miles from Earth, some 16,139 miles closer than the usual average distance of 238,900 miles. Dress warm and try to drive to a location away from light pollution to see the moon better.